Renewal requirements run in 5-year cycles. After each cycle, the certified individual report on these requirements by completing a brief online form, the CE Status Form. 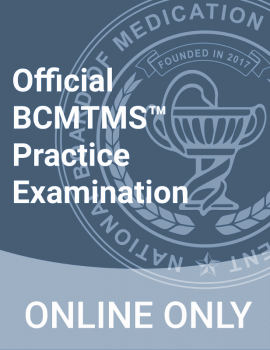 Check your CE status anytime at nbmtm.org. The form is due 2 months after end of 5-year cycle. You will first enter your CE activities into the CE Repository. The number of CEs due will be noted at the top of the repository. The certification renewal cycle is five years from your certification date. In the example below, you will need to renew your certification by January 15, 2018, if you passed your exam on January 15, 2013. The NBMTM will send out renewal notices/invoices two (2) months prior to the credential expiration date. Renewal fees must be paid and, if audited, CE documentation must be approved no later than 2 months after the date of expiration. There is a 60 calendar day grace period for individuals who miss the renewal deadline. Certified professionals may renew an expired credential by paying the renewal fee, a $50 late fee, and submitting CEs (regardless of audit status) no later than 60 calendar days after the credential’s expiration date. Individuals who do not meet renewal requirements within 60 calendar days of the credential’s expiration date will automatically be placed on inactive status and must complete the Reinstatement Process to recertify. Payment of certification-related fees is an individual responsibility. The NBMTM invoices the individual who holds the credential. If a certified individual works for an employer that pays some or all renewal fees, the certified individual is responsible for ensuring that fees are paid in a timely manner to the NBMTM. The NBMTM will not waive late fees or extend timelines for failure to renew. Awareness of certification expiration date(s) is an individual responsibility. The NBMTM will send a renewal notice/invoice to the mailing and email addresses on file with the NBMTM. Ensuring the NBMTM has current mailing and email addresses is the responsibility of the certified individual. 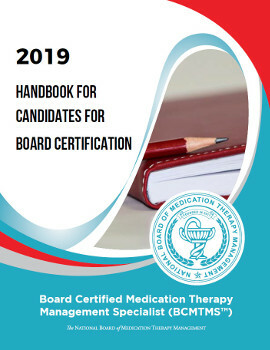 If a certified individual does not receive a notice/invoice at least 45 days prior to the credential’s expiration date, the certified individual must call the NBMTM to request a new notice/invoice. The NBMTM will not waive late fees or extend timelines for failure to update contact information or if invoices were “lost” in hard copy or email. The NBMTM randomly audits approximately 5% of the certified population after the renewal cycle has closed. If you are selected for CEU Audit, please use this CEU Audit Cover Sheet when you submit CEU documentation.